Burnham has a number of parks, most containing facilities for young people. 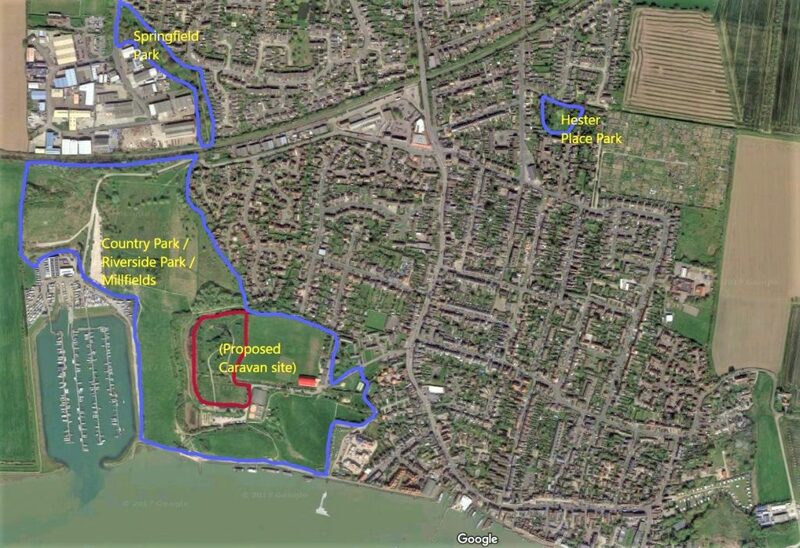 Burnham Town Council is not responsible for the parks, though volunteers do help Maldon district Council staff to keep them in order, by organising litter-picks. The Friends of Hester Place or the Riverside Park Task Force are two such groups. Dogs are allowed in the parks, but please, keep them under control and clean up after them. You can help the Park Rangers by reporting litter louts and.or dog owners who persistently fail to pick up after their dogs by calling Maldon District Council on (01621) 854 477 or clicking here to send an email. If you have any complaints or suggestions, you can send an email to this address, office@burnhamtowncouncil.com, using the subject title, COMPLAINT – PARKS, or SUGGESTION – PARKS. You could also contact the Town Council’s Environment Coordinator. When emailing town councillors, it is always a good idea to copy in the Town Clerk.